March 3rd will be our last day of Winter Reading Club, so make sure you come in and record your final books and pick up your prize. We had a great turnout this winter and we hope you had as much fun with the club as we did! We'll see you at our Summer Reading Club! One glance at our new issue of Excerpts will convince you that spring is on the way. We've got seasonal programming on baseball, flower planting and a special Glencoe Day at the Chicago Botanic Garden. You'll also get information about art, local history and creative writing programs as well as the usual suspects of book groups, films, technology classes and children's programming. You'll receive Excerpts in the mail later this month but you can also view it online now! On Monday February 20th at 10:30 come to the library to celebrate your favorite friends from the My Weird School series by Dan Gutman. Join other kids in games and activities focusing on the themes of this popular series. While no advance reading is required to attend the party, you might want to be familiar with the series before joining the fun. For children ages 7-9. Registration is required to ensure sufficient materials. Do you want to update your yard but don’t know how to begin? On Thursday, February 16th at 7:30 you can get some Fresh Ideas for Your Garden for the 2012 growing season with landscaping professional Phyllis Cheskin. She will discuss how to set your garden objectives and needs, the benefits of soil testing, new plants on the market, and tips on design, installation, and maintenance—whether you do it yourself or hire a contractor. 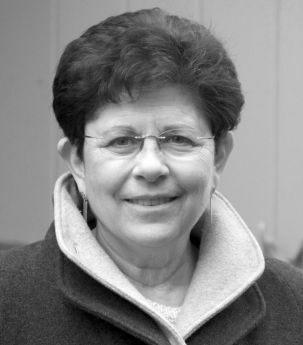 A Glencoe resident, Ms. Cheskin is the proprietor of PGC Ideas, LLC, a landscape design and installation firm. She is familiar to many locals through her work at the Glencoe Park District’s greenhouse sale. Do you have an opinion about this year's crop of Oscar nominees? Come to our Oscar Preview on Thursday, February 9th at 7:00 pm at the Women's Library Club where Chicago Tribune film critic Michael Phillips will lead a lively discussion of the 2012 Academy Award nominations and review the past year in film. Discover who's a contender...and who's not! What tools do you have to assess the quality of your advisor’s work? How do you know what questions to ask as you begin to interview advisors? Today there are many resources available to help you compare financial products. Unfortunately, the same is not true for financial advisors. On Tuesday, February 7th at 7:30 pm Adam Stock will share wisdom from his 12 years of experience and suggest 7 Questions to Ask Your Financial Advisor. Adam Stock is a CFP and principal of The Next Level Planning Group, an affiliate of Lincoln Financial Advisors.